Tiny homes, also known as micro housing have been a trend of the late 21st century. Minimalistic lifestyles with a small footprint for a reasonable price draw in people looking to scale down their lifestyles or escape the complexities of urban living. Recently major architects and companies are moving into the market with the goal of providing a getaway to urban dwellers who need a break from their city lives. Bjarke Ingels Group’s most recent collaboration with a pre-fab housing startup called Klein keeps a minimal footprint and provides a sleek open concept design. The building, which is built from mostly recyclable materials, can be delivered anywhere within six months. Klein intends to launch more cabin concepts designed by the worlds leading architects. 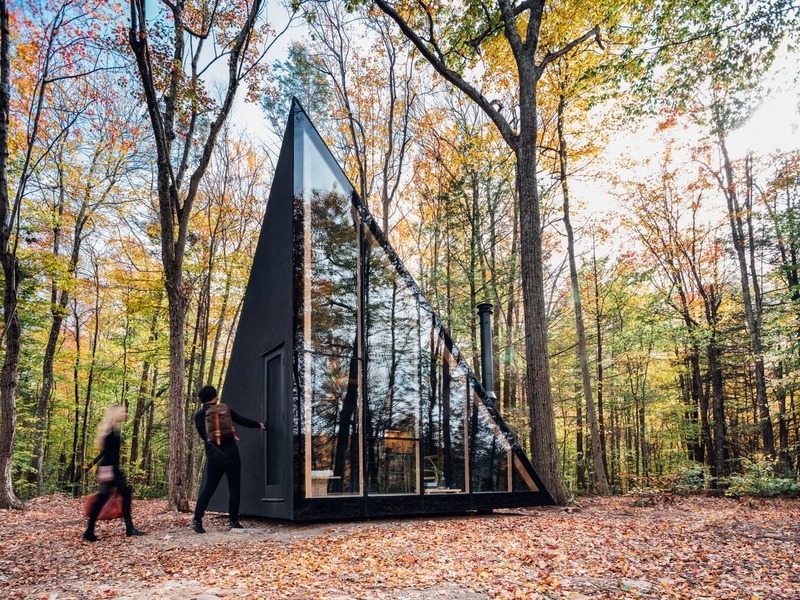 However, many other companies have already produced pre-fabricated homes for the modern city dweller who seeks to take a break from the constant city hustle. Groups such as Muji, Vipp, and Harvard Business student’s startup Getaway are already putting their efforts into creating minimal and modern retreats. With their focus on providing an affordable space to recharge and test drive tiny-house living, each company seems to share similar objectives. While Vipp(£410,700) and Muji (£21,000) offer prefab micro-housing estates for the minimal lifestyles, Getaway aims to provide a restorative rent by the night retreat.